Aww, what happened to the time traveller class? The one with so many nice tricks... Counting to those related to a certain time travelling Doctor in a blue box. These appear to have been removed. 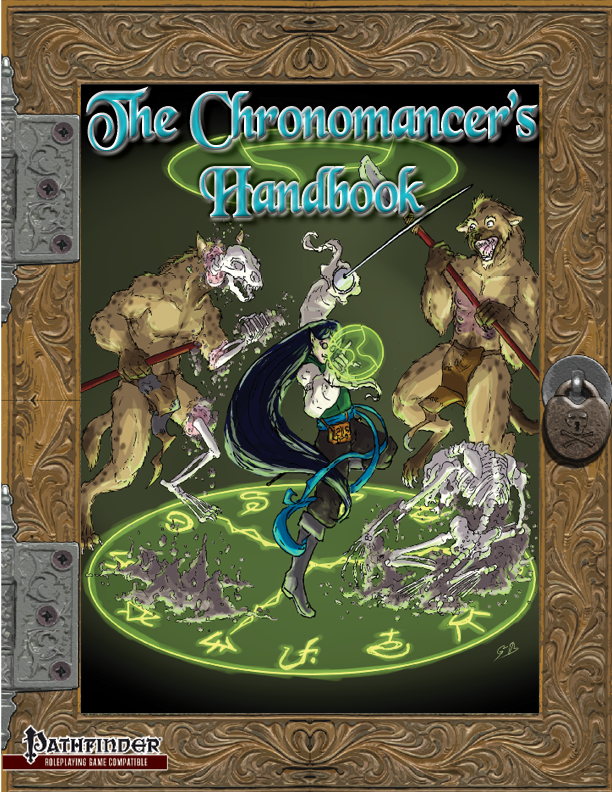 Unfortunately that class really conflicted with the goals of a handbook, which are to expand the sphere and make it more relevant to a wider number of players and characters. Not only did the class eat up a ton of word count that wasn't going to benefit characters who didn't take the class, it also created a roadblock; any mechanic that was locked to the class was a mechanic that was locked away from simple talent access. That entire playtest version was scrapped when the author abandoned the project and the handbook was rewritten from the ground up with a focus on fulfilling the needs of the spheres systems and providing options for the widest number of players and characters possible. This title was added to our catalog on November 13, 2018.